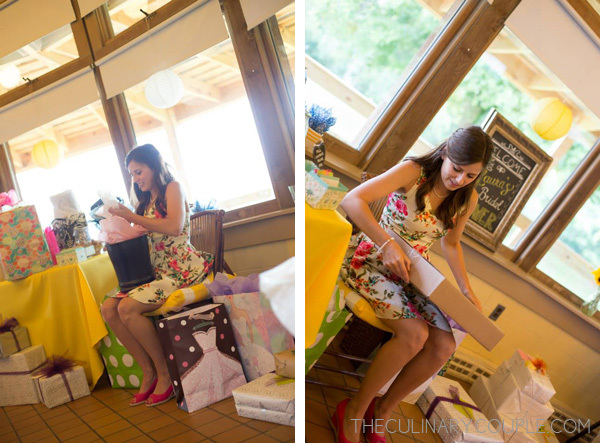 The Summer of Laura continued with her bridal shower in June. 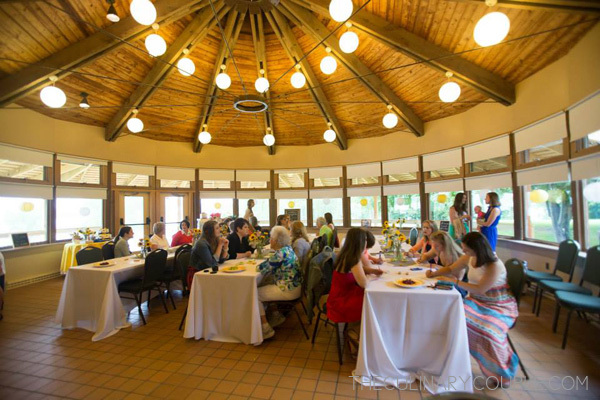 We rented the Classroom Building at Codorus State Park in Hanover, PA for the festivities. 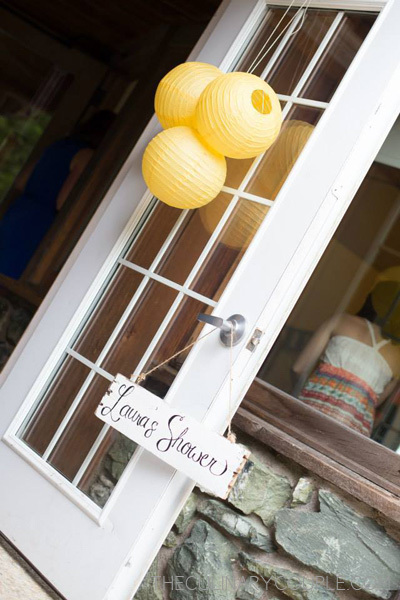 It was the perfect location for Laura! Not only does she love the outdoors and the water, but it’s also where Stephen proposed. When we arrived that morning, the circular building was completely empty. And we had less than two hours to transform it into what I envisioned for Laura. 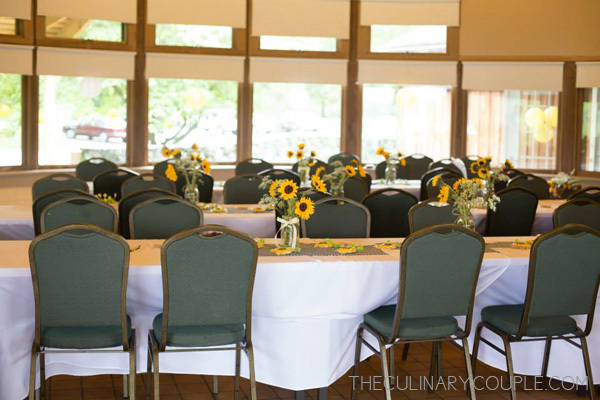 Tablecloths, navy polka dot runners, and mason jars of sunflowers really cozied up the tables. 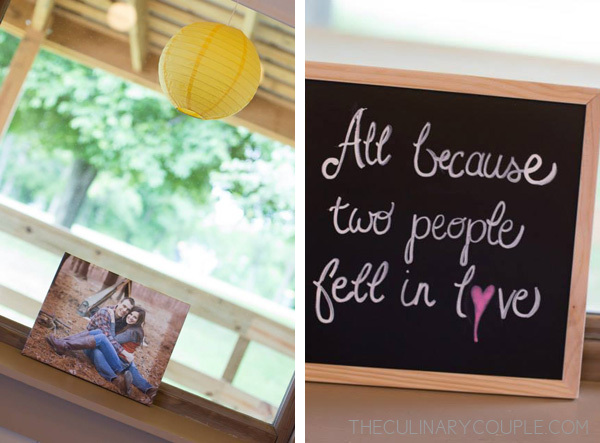 We hung bright yellow paper lanterns from the windows and displayed chalkboard signs plus a canvas print of one of their engagement photos. 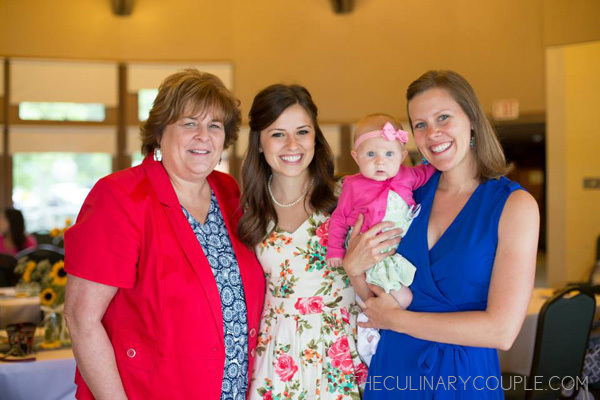 Of course, the arrival of the guests really made it feel like a party! And here comes the guest of honor! We kept the location of her shower a secret, which made it so much fun. And she was just the most beautiful bride-to-be. 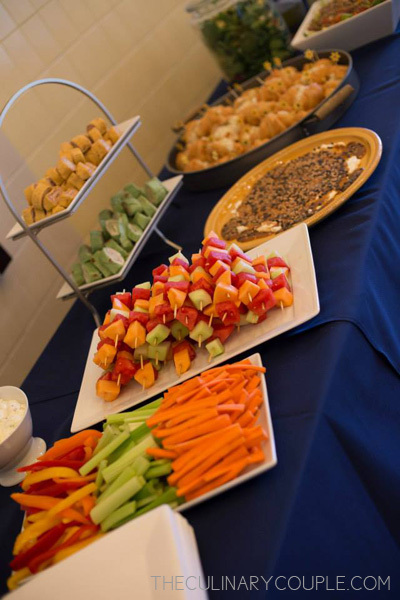 We prepped most of the food the day before and kept it simple: ham and turkey wraps; croissants stuffed with chicken salad from the local market; strawberry and spinach salad with avocado and slivered almonds; quinoa salad with mangoes and a tangy lime dressing; plus fruit kebabs and a tray of veggies. I had a little fun with the cheese plates. 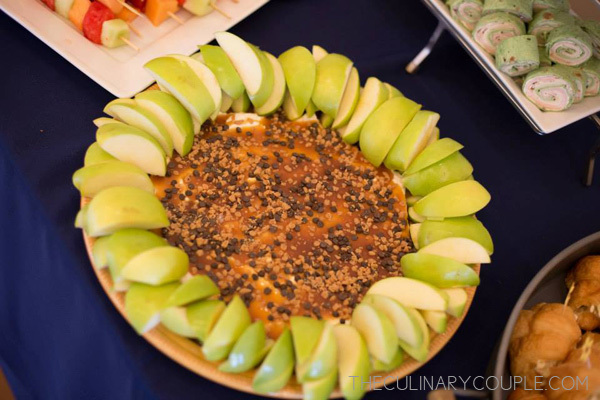 And this cream cheese dip for the apples was a big hit! 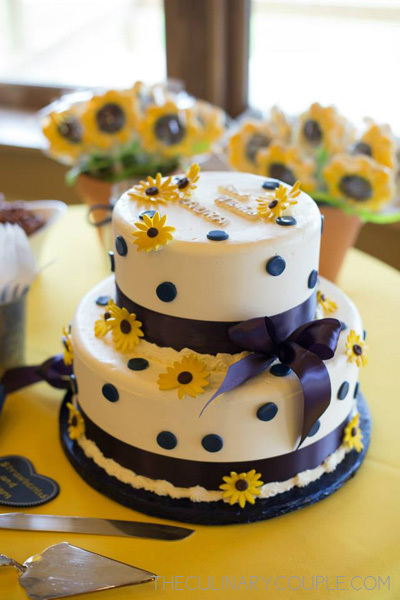 The dessert table included a two-tier cake (lemon and blueberry plus strawberries and cream) from Providence. 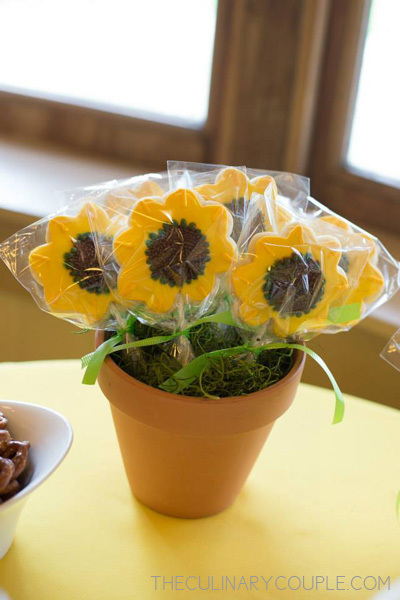 And bouquets of sunflower cookies from a local baker. 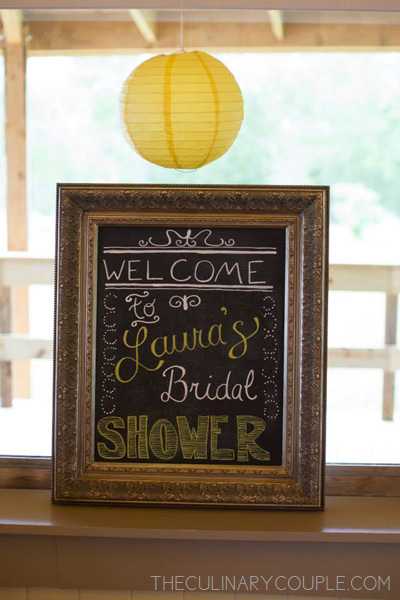 We played two games: bridal bingo and how well do you know Laura? 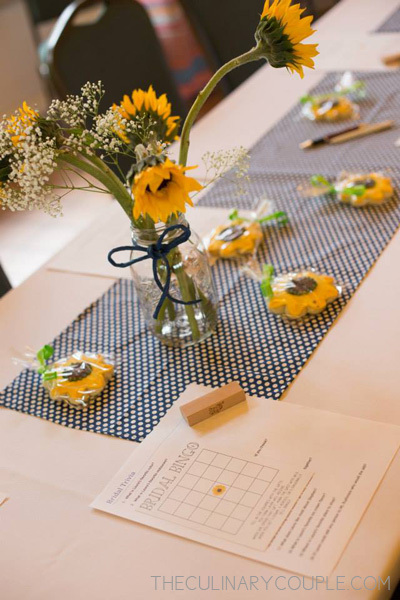 Plus we asked each guest to write a date idea on a Jenga piece (which Laura had so much fun reading later). I had also included blank recipe cards with the bridal shower invitations. 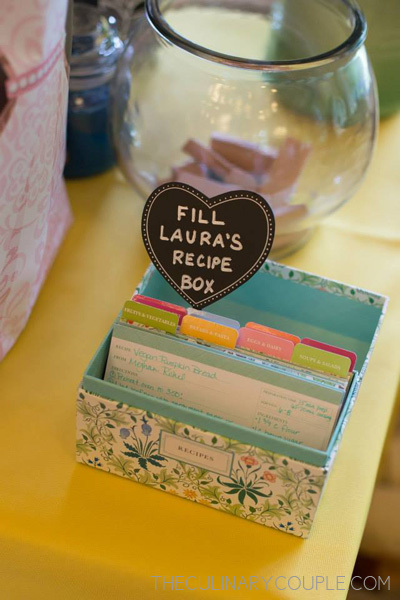 And it was fun to fill Laura’s recipe box with favorites from her family and friends! No shower is complete without stacks of wonderful gifts! It was such a lovely afternoon. And Laura was so appreciative of the details. 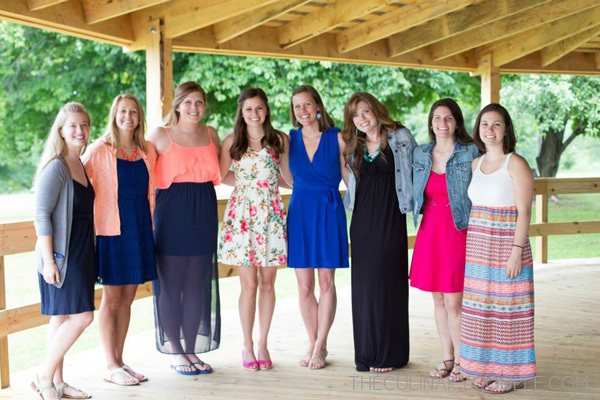 I can’t wait to celebrate Wedding Day with this great group of ladies!